The Hokies has a successful senior day on Saturday, as the Virginia Tech men defeated Cincinnati and the women collected wins over Cincinnati and Rutgers in their 2-day dual. On the women’s side, senior Fiona Donnelly took the final dual meet victories of her NCAA career. Donnelly’s first win came in the 200 IM on Friday, which she dominated by almost 3 full seconds with her 2:03.32. Her next individual event was the 100 back on Saturday. 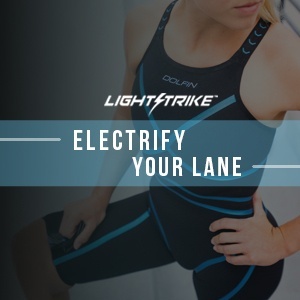 Donnelly and teammate Reka Gyorgy battled closely in that event, as the 2 swimmers were within a tenth of each other the whole race. It was Donnelly who got to the wall first, however, as she won in 55.45 ahead of Gyorgy’s 55.57. 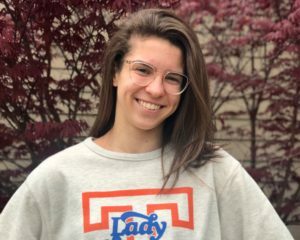 Freshman Gyorgy, who was swimming in her first NCAA meet with the Hokies, also competed in the 400 IM. 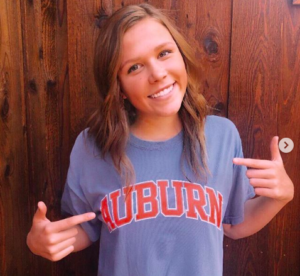 She swam her way to a winning time of 4:17.10, winning by over 12 seconds as freshman teammate Eleanor Matheson (4:29.57) was the only other swimmer to break 4:30. All-American Robert Owen was among the Virginia Tech seniors honored on the men’s side. Owen had a pair of tight races with teammate Norbert Szabo in the 200 IM and 200 back. On day 1, Owen came out on top, racing to a 1:50.45 in the 200 IM to out-touch Szabo (1:50.59). Szabo turned the tables on day 2, however, clocking a 1:39.72 to beat Owen (1:40.52) in the 200 free. 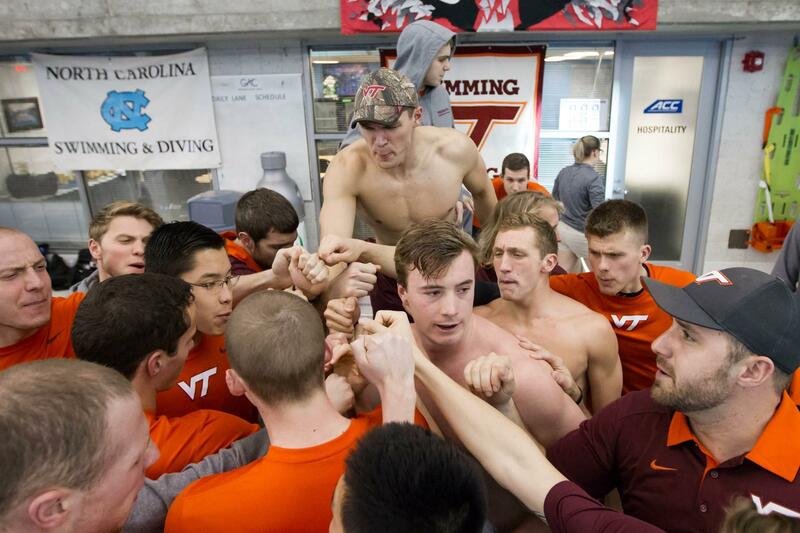 CHRISTIANSBURG, Va. – The Virginia Tech swimming and diving team sent their seniors off with a victory on Saturday as the H2Okies defeated Cincinnati and Rutgers at the Christiansburg Aquatic Center. The No. 25 men (7-1, 3-1 ACC) defeated Cincinnati, 195-141, while the No. 23 women (6-3, 1-3 ACC) beat the Bearcats, 231-113.5, and Rutgers, 191-157. With tight scores in a couple of the duals after the first day, the H2Okies A relay on the men’s and the C relay for the women swept the 400 medley relay to get the day started. Swimmers Jake Lamparella and Klaudia Nazieblo along with the H2Okie divers helped propel Tech to the three victories. Competing the final home dual meets of their career, senior Fiona Donnelly swam a 55.45 to take first in the 100 back and Klaudia Nazieblo placed first with a 54.93 in the 100 fly. Freshman Reka Gyorgy turned plenty of heads swimming in her first meet with the H2Okies. 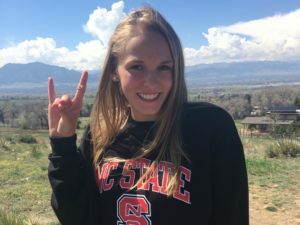 She nearly missed a cut time with her second-place time of 55.57 in the 100 back but she did register a B cut time in the 400 IM with a 4:17.10. The exhibition time was 14 seconds faster than the first place time in the event. Lamparella swam a 50.16 in the 100 back and swam the first leg of the H2Okies first place A relay in the 200 medley. Junior Mauro Castro-Silva scored a 385.35 in the three meter to place first, followed closely behind by junior Jack Gigliotti’s second place score of 385.25. Kowal won her first career event with a time of 10:15.09 in the 1000 free. Sophomore Ian Ho was a little more than three-tenths of a second off finishing under 20 seconds in the 50 free but won the event with a 20.36. Sophomore Danielle Griggs took second in the women’s 50 free and narrowly matched her seed time with a 23.80 to place second. She also swam a 23.24 in the final leg of the H2Okies’ first place 200 medley relay. Freshman Chloe Hicks finished third behind Donnelly and Gyorgy in the 100 back. Hicks swam a 57.16. After finishing second in the three meter yesterday, sophomore Ashlynn Peters finished second in the one meter with a score of 301.90. CHRISTIANSBURG, Va. – Senior Rachel Stoddard finished first in the 200 breaststroke and classmate Alyssa Black placed first in the 1-meter dive as Rutgers swimming and diving concluded competition against Cincinnati and Virginia Tech Saturday afternoon in Christiansburg, Virginia. In dual action, the Scarlet Knights defeated the Bearcats, 223-130, but fell to the Hokies, 191-157. In total, RU secured six individual titles and a relay victory during the two-day tri-meet. Stoddard hit the wall first in the 200 breaststroke with a time of 2:18.16. It was her second event title in as many nights, as she also finished first with a time of 1:02.92 in the 100 breaststroke on Friday. Off the boards, Black recorded a NCAA Zone qualifying mark of 303.65 in the 1-meter, good for first. Junior Addison Walkowiak placed third with a score of 296.70, while sophomore Rachel Byrne added a fifth-place result of 270.65. All were NCAA Zone qualifying standards. In the 100 butterfly, sophomore Francesca Stoppa contributed a second-place time of 56.75 after she finished first in the 200 butterfly on Friday. In the 200 freestyle, freshman Alexandra Fabugais-Inaba added a third-place time of 1:51.58. In relay action, Rutgers finished third in the 200 medley relay, as Stoddard, Stoppa, sophomore Vera Koprivova and freshman Vanessa Ruiz clocked in at 1:46.07. The Scarlet Knights return to action next Saturday when they host Richmond for Senior Day at the RU Aquatics Center at 10 a.m.
CHRISTIANSBURG, Va.– The University of Cincinnati swimming and diving wrapped up its meet vs. Virginia Tech and the Rutgers women on Saturday afternoon in Christiansburg, Virginia. The Bearcats men and women fell to the Hokies while the women also lost to Rutgers. Virginia Tech women entered the meet ranked No. 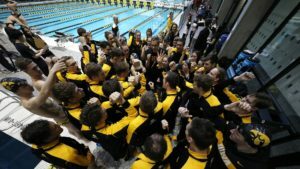 23 in the College Swimming Coaches Association of America (CSCAA) poll while the men’s team was ranked No. 25. 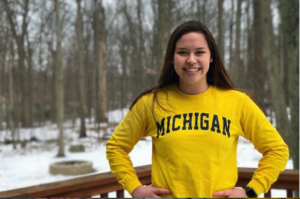 Senior Jacqueline Keire (Burlington, Ontario/Nelson) picked up individual wins in the women’s 50 freestyle and the 200 freestyle events on Saturday to increase her season total to 22 solo victories. The freestyler beat the field in the 50 free with a time of 23.49 while her winning mark of 1:47.66 in the 200 free is good for an NCAA B cut. 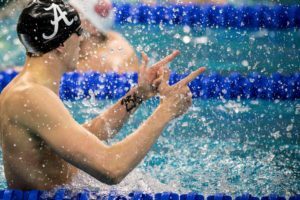 Junior Chris Bready (Missouri City, Texas/Lawrence E. Elkins) won the men’s 1000 freestyle event on Saturday by over 20 seconds, touching in a time of 9:11.01. The second-place finisher, Virginia Tech’s Michael Craddock, didn’t finish until 9:31.39. Keire’s third victory of the day came in the women’s 400 freestyle relay where she anchored the team to a 3:31.12 time. Joining Keire on the team were freshman Michaela Wheeler (Loami, Ill./Home School), junior Sara Wanasek (Burlington, Wis./Burlington) and junior Lindsey Niehaus (Cincinnati, Ohio/Seton). The Bearcats will race in their final regular-season meet of the season on Friday, Jan. 27, when they host the University of Kentucky at the Keating Aquatic Center for a 5 p.m. start. The Kentucky women are currently ranked No. 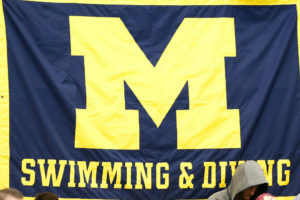 18 in the latest CSCAA poll. The meet will represent senior day for Cincinnati which will honor the careers of Connor Davis (Cincinnati, Ohio/Anderson), Tyler Roehr (Cottage Grove, Wis./Monona Grove), Ludovico Corsini (Milan, Italy/Giulio Casiraghi), Zachary Wolcott (Dayton, Ohio/Oakwood), Shea Hanley (Indianapolis, Ind./Indianapolis), Andrea Bartel (Euclid, Ohio/Euclid), Gege Huffner (Reunion Island, France/Font Romeu), Emma Gresser (Akron, Ohio/Richfield Revere), Samantha Wolkoff (Cincinnati, Ohio/Sycamore) and Keire.